I have been wondering what I should get for my friends, family, and sister, and I’m pretty sure you guys have wondered too. 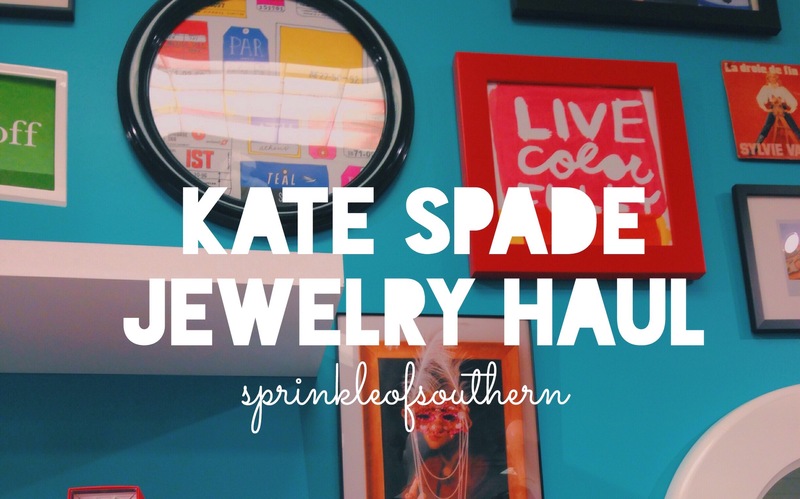 I have some preppy gifts that will suit any person! The CamelBak is for the girl who loves to exercise! She loves to stay hydrated & is always moving! 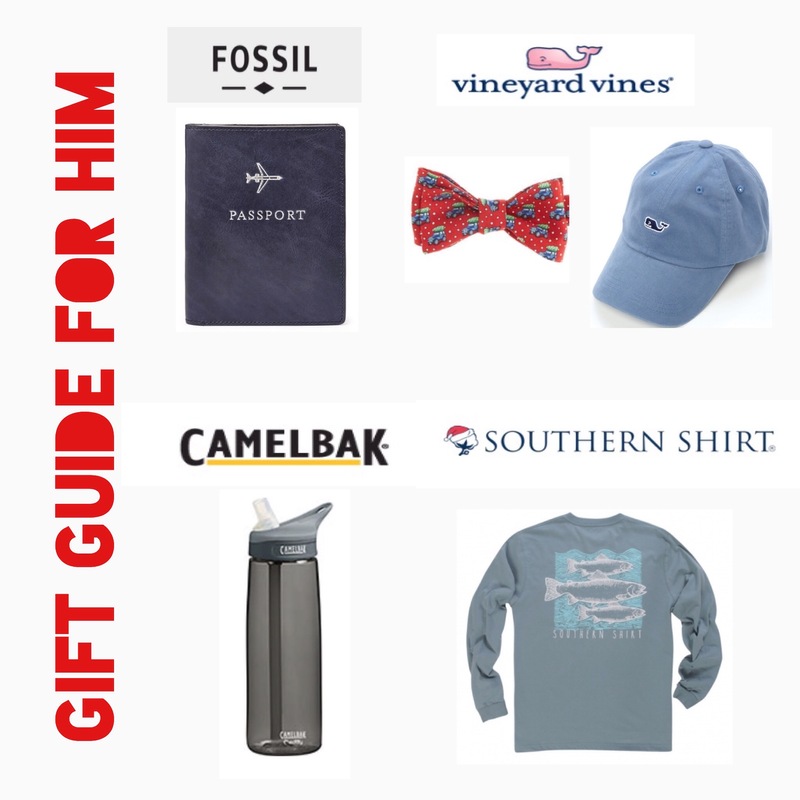 To go with this gift, you can purchase some cheap preppy stickers from Vineyard Vines or Southern Shirt! The Vineyard Vines Notebook is for the girl who loves to write down her thoughts & journalise! You can even pair this outfit with a cute pencil set! The Lilly Pulitzer Phone Case is for the girl who loves her texting, blogging, and is always up to post! You can pair this gift with a cute charger or wristlet! The Lilly Pulitzer Agenda is for the girl who is always organized & can always find a way to plan her life out! This gift would be great with a pen, highlighter, or pencil set! 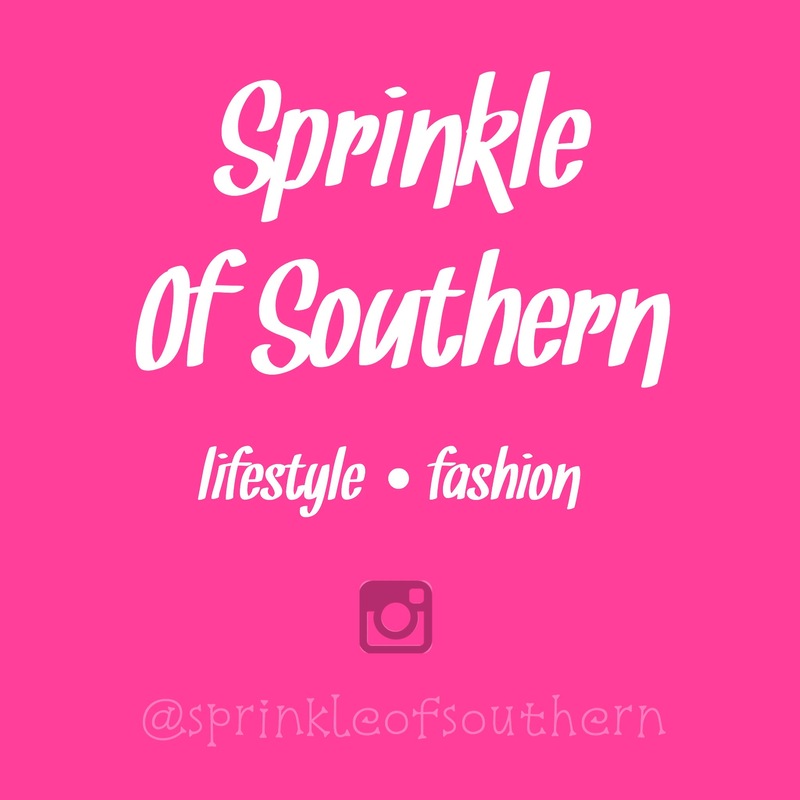 The Southern Shirt T-Shirt is for the fashionista! This shirt would be a great pair with some fuzzy socks or a cute monogrammed necklace! 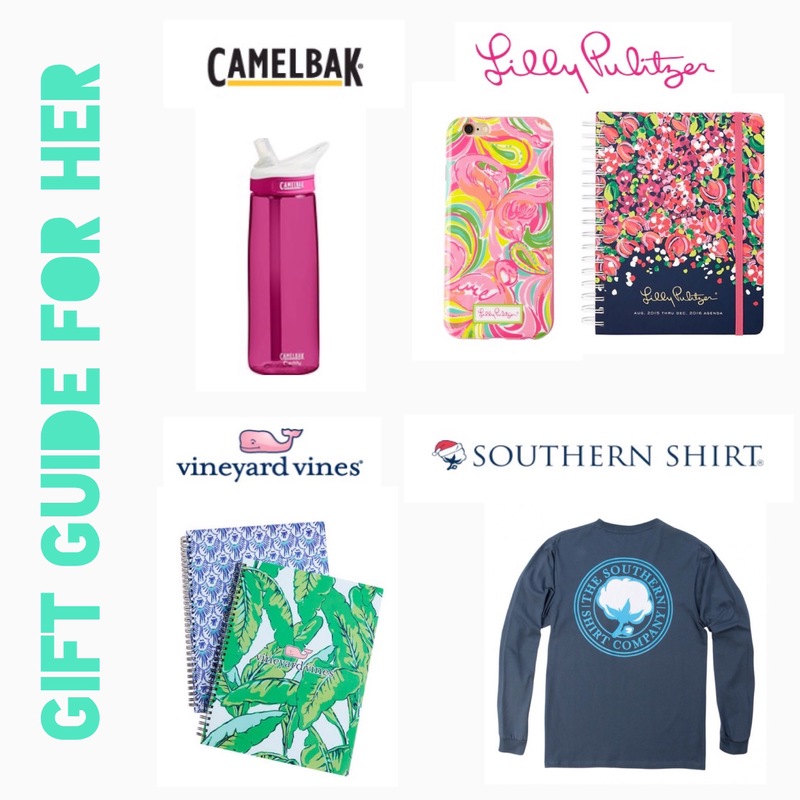 I hope this gift guide will help you figure out what you may get for a lady in your life whether it be a friend, family member, or sibling! I will be posting a more expensive gift guide in the next couple of days if you have a big budget to spend on your loved one! I just wanted to say Happy Thanksgiving!! I hope you have a great time, whether you are staying in your home or spending it in a different place! Eat a bunch of turkey, mashed potatoes, and tons of dessert for me! 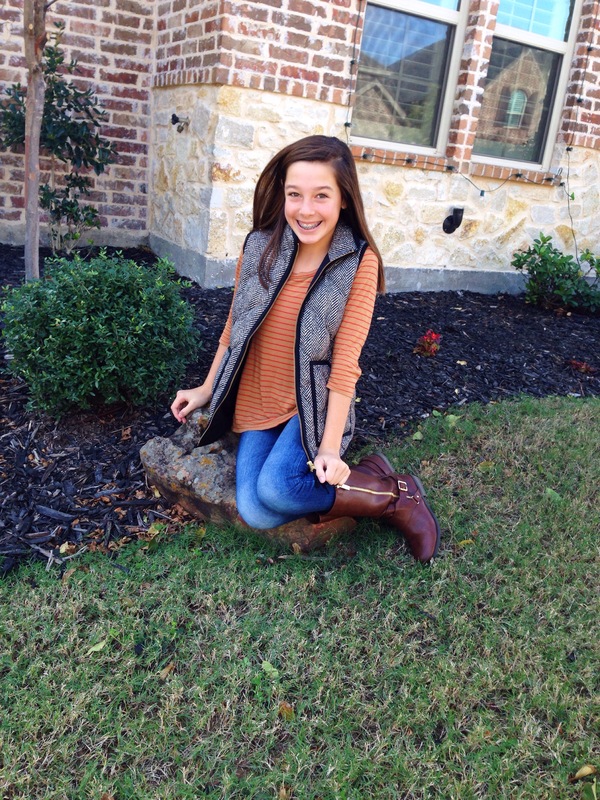 The temperature is cooling, the leaves are turning colors, and my fashion style is changing! 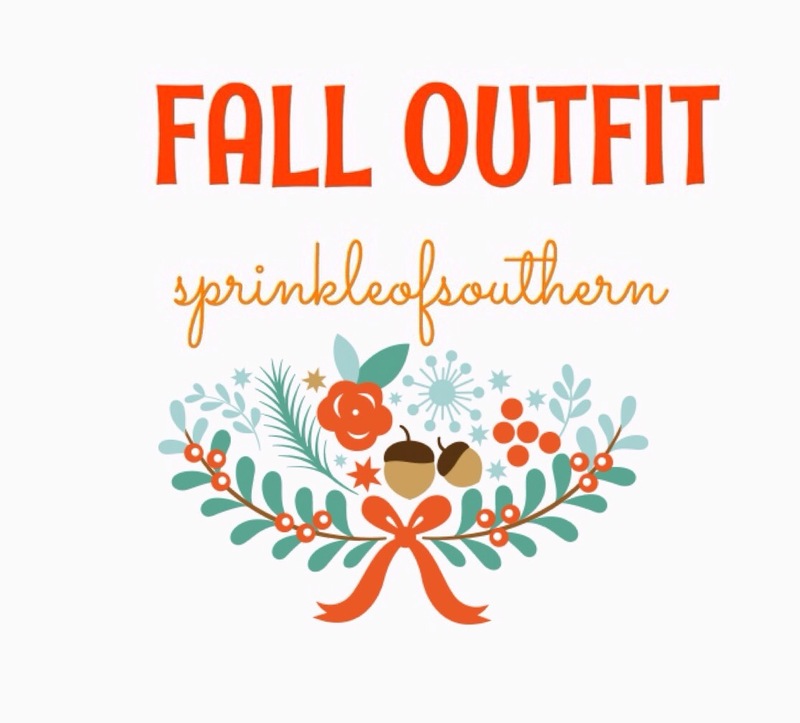 I have a fall outfit that will keep you warm on those chilly nights, but is still there to impress! I love this outfit because it is still super comfy for a night out! 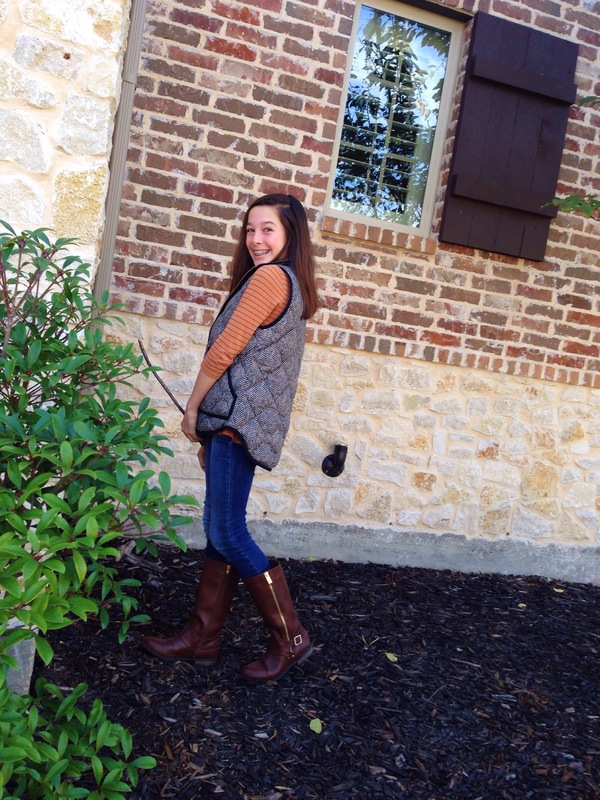 The vest adds a preppy look to the shirt and the riding boots add a hint more of fall! 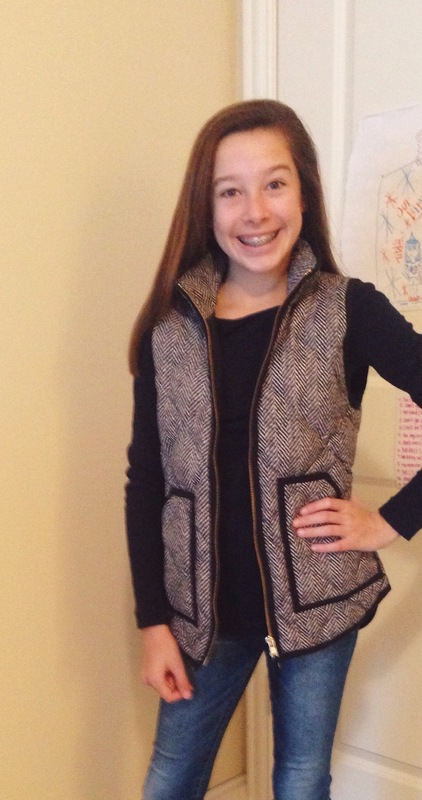 I hope this outfit gives you guys some inspiration for a future outfit or even one for Thanksgiving! Today, I have a Thanksgivibg outfit post to give you guys some inspiration on what to wear on Thanksgiving! I have different looks that, I hope, will help someone find what to wear! 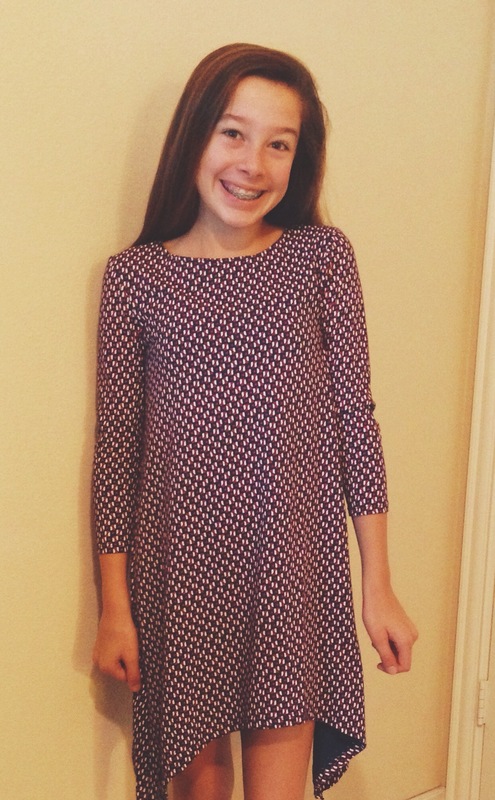 You can use what you have in your own closet to make the outfit I made, yours! Let’s get started! This outfit is ready to impress! I added the necklace to add a staple to the dress. 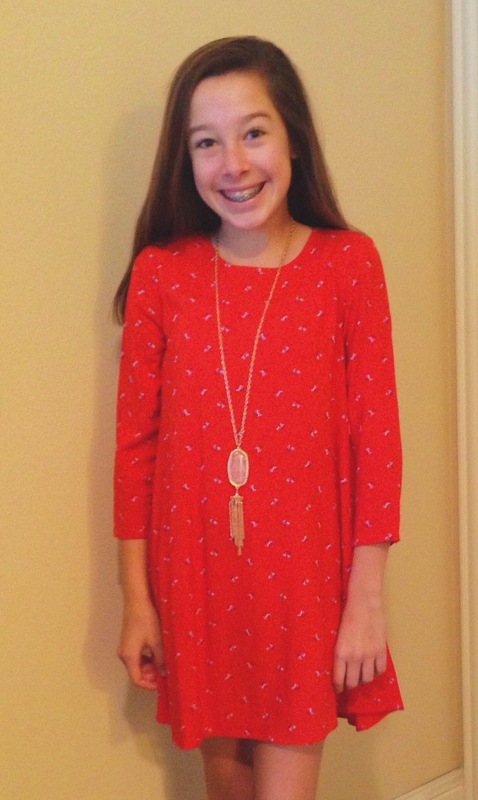 This outfit is more of a stylish, yet casual, outfit that I might wear on the day of thanks! 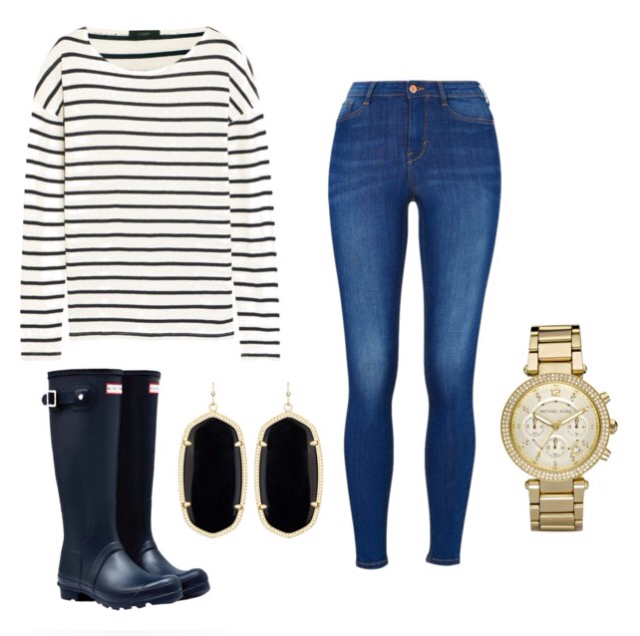 This outfit is a more casual, homey, but still adds a preppy look! 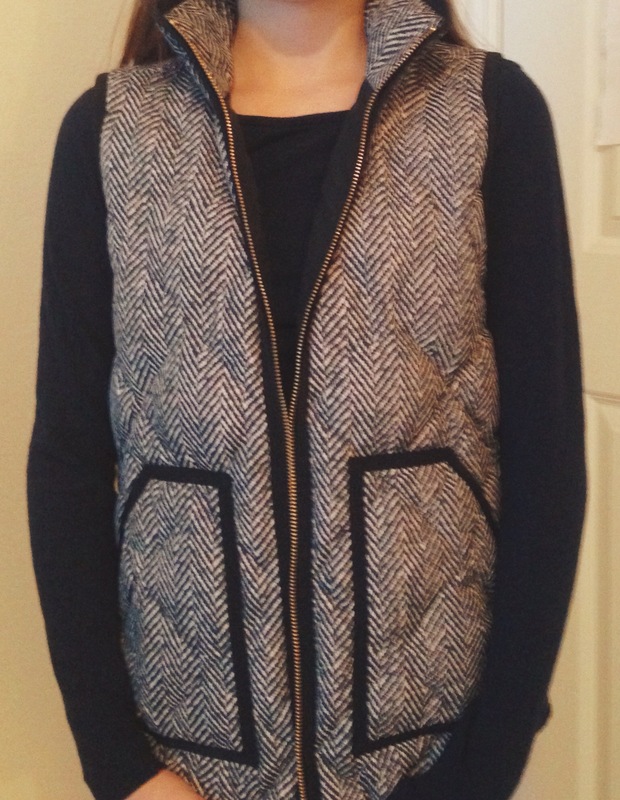 I added the vest for warmth over a simple navy tee, to make the outfit more comfy to wear all day! This outfit is a simple yet very dimensional because, if you can see the pattern, it is very 3D! I love it because it is also very comfortable! 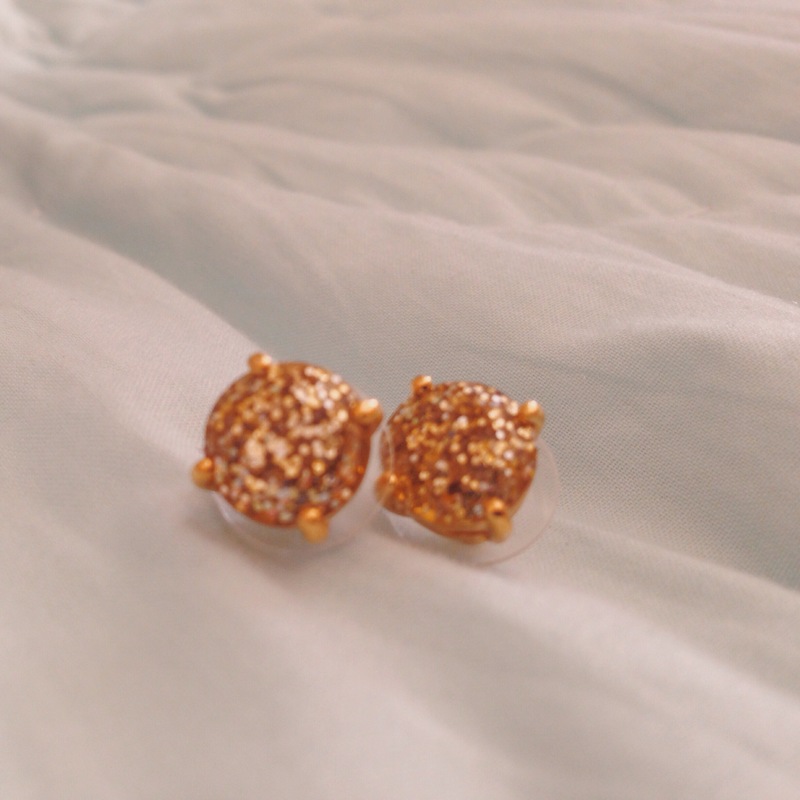 Yet again, I have another haul and in fact these two items were in My Christmas Wishlist post! 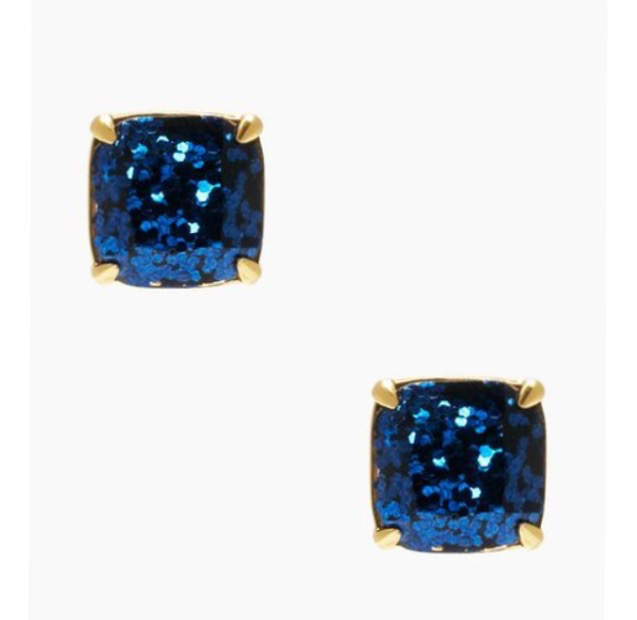 Before I go on and on about how much I love these, they are the Kate Spade Small Square Studs! 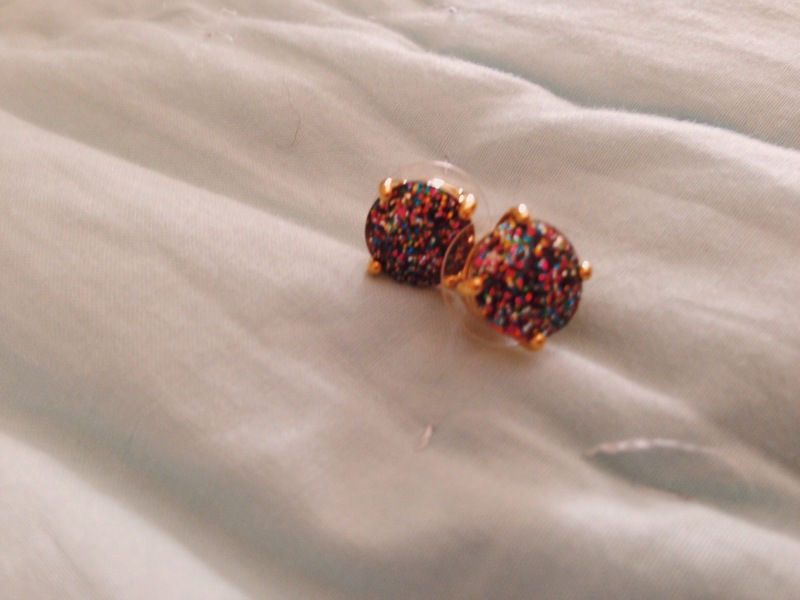 I am in love with these earrings and the plus of the purchase was they were 20% off!! 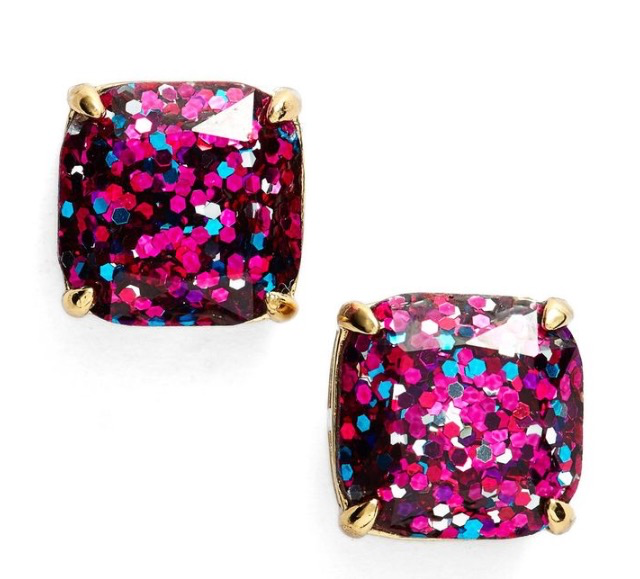 You can pair these with so many outfits to really make them stand out and make a statement! I have thought that giving you guys a visual of a super cute outfit would be better than me modeling to you my outfit using the app Polyvore. These pieces can be swapped out by what you have in your own closet! 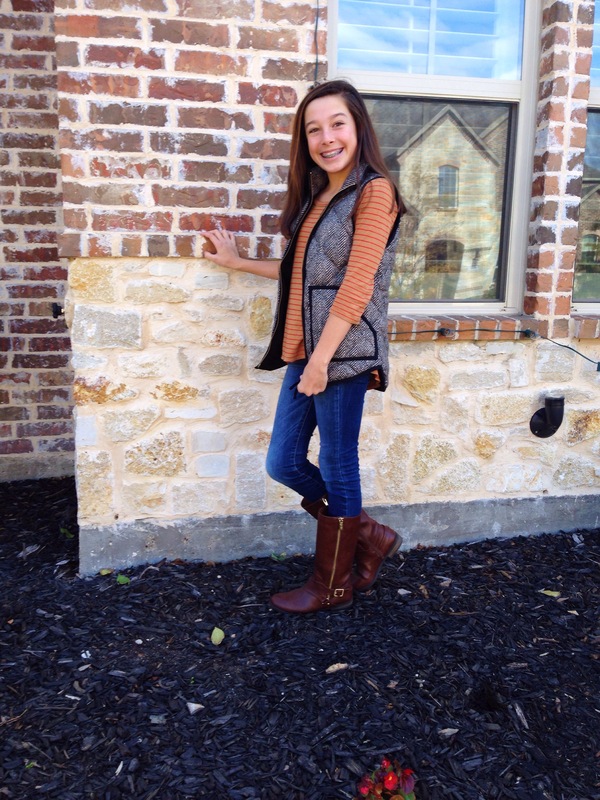 They are casual preppy outfits that will look great to school or jazzed up for a night out with friends! 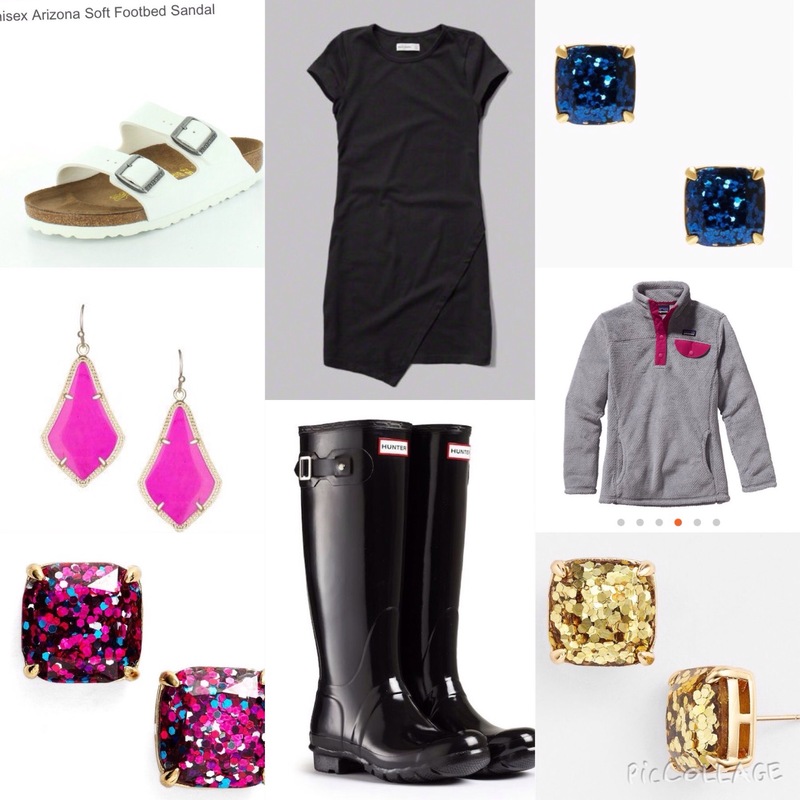 All of these outfits can be created for school, a causal day out with friends, or adding more to them to make it perfect for a fancy family dinner! I hoped you enjoyed this post & I hope it gives you inspiration for an outfit in the future! I already have a Christmas list, my Christmas lights up, and it’s only November…. But I seriously love Christmas!! I am ready to finally make a fire, listen to Christmas music, bake some yummy desserts, and put up the Christmas tree!! So let’s get into my Christmas wishes for this year. Patagonia Girls ReTool SnapT Fleece Pullover in Tailored Grey. Have a great day & an awesome holiday season! 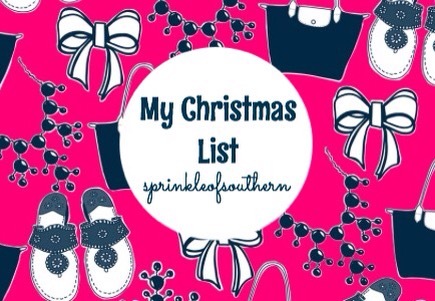 I already have Christmas on my mind, so my lists are already going out to my family! 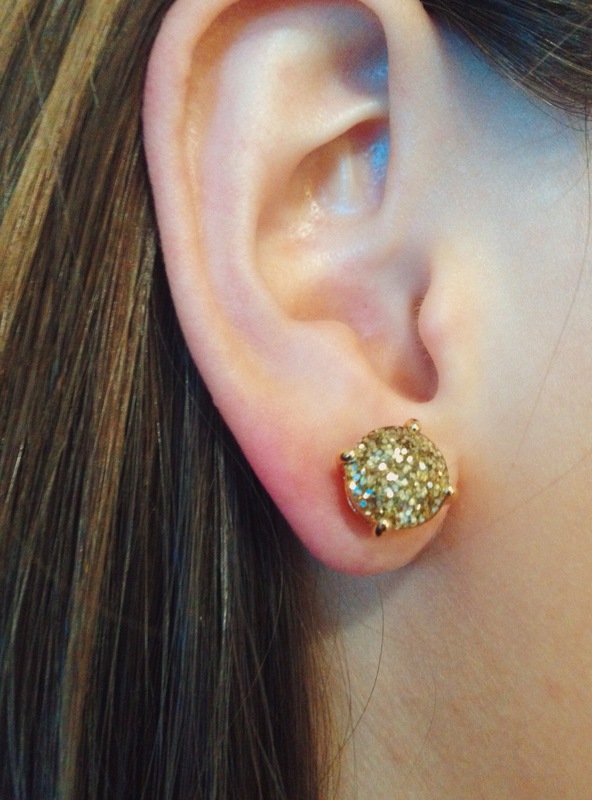 And one of the top items on my list are jewelry, specifically earrings. 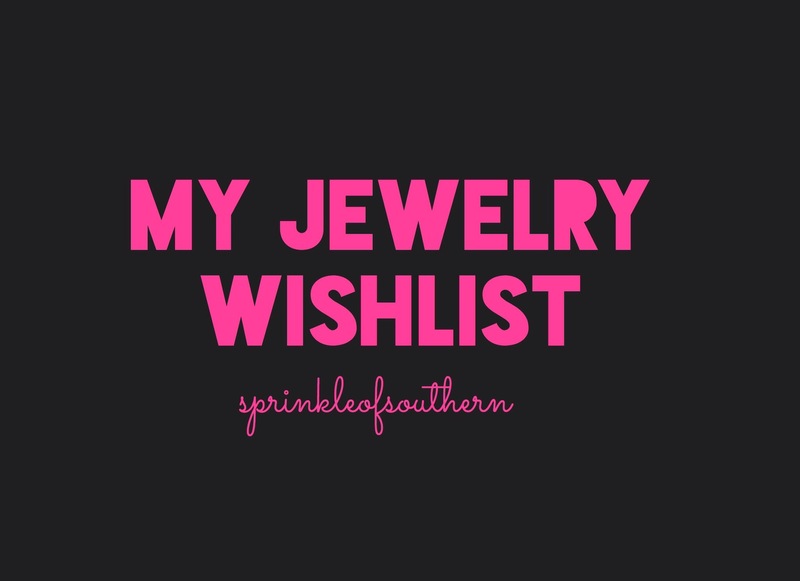 Let me show you what my top jewelry wants are for Christmas & for the upcoming seasons. 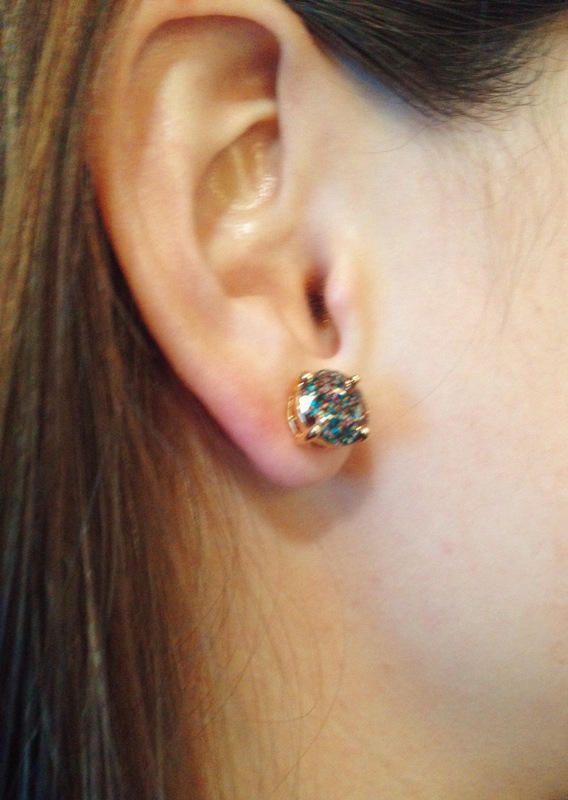 All of these earrings are going to be such a great staple piece to add to a plain tee or dressed up outfit! I can’t even describe how pretty these colors are and how great they would look with any outfit! 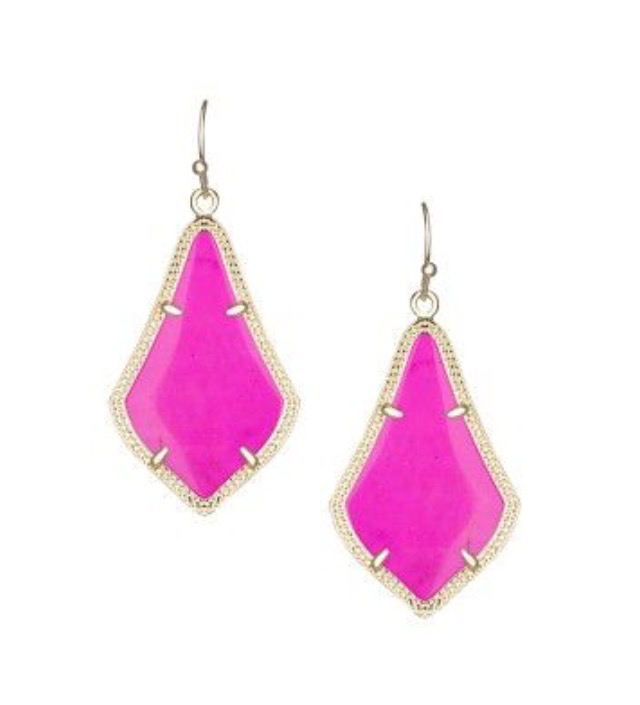 I have wanted a magenta pair of Kendra Scott earrings for the longest time, so these were a must for my Christmas list. 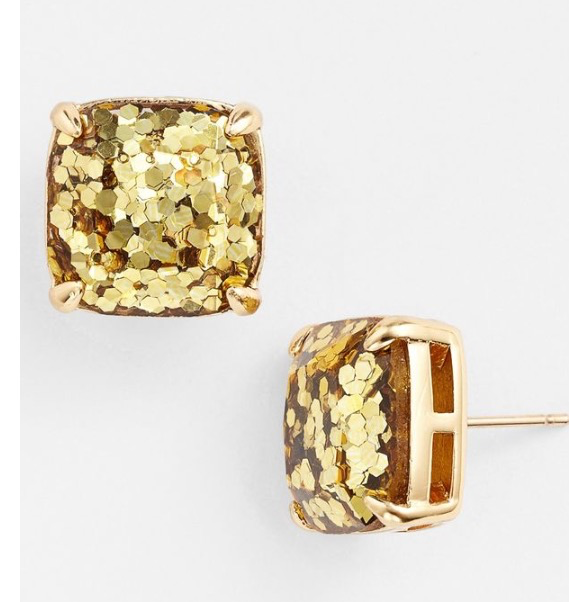 These would look great with a black dress or even a simple white blouse.